If only my fruit cravings were as strong as my ice cream cravings! Typically when it comes to your own baby shower you stay out of it. When my Mom started planning — being the slight control freak that I am and, ya know, since design is ma thing — I inserted myself in the invite/decor phase of said baby shower and she politely obliged. But that is ALL! I won’t even begin to take credit for the design because I found the pineapple theme over on The Allison Show where she decked it out for a Mother’s Day Brunch. Too cute! You can find all her resources right there! Which is how I got my little hands on those lovely designs. I tweaked them a tiny bit and walla. Baby shower invites! 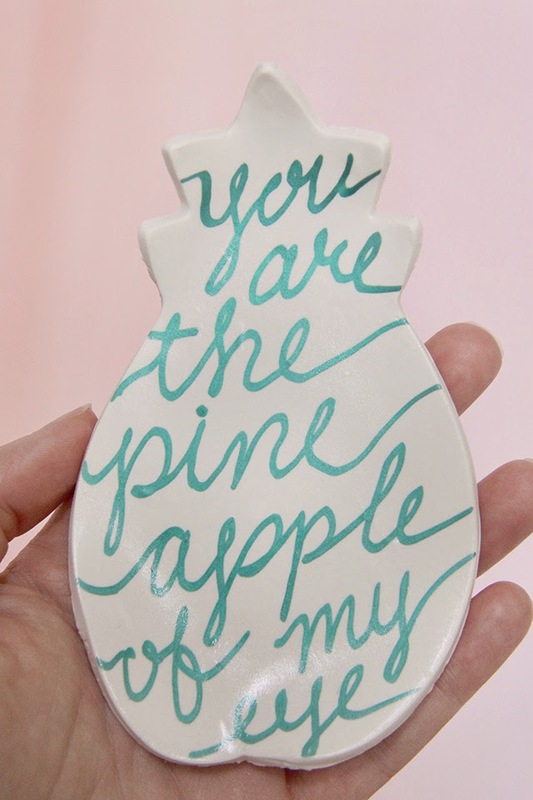 We also made these DIY pineapple ring dish holders which we’re giving away as favors (spoiler alert for those attending- wink wink). And perhaps there will be some cookies and other pineapple things in the works. Who knows! If you follow my instagram you’ve seen a lot of pineapple lately and now you know why. 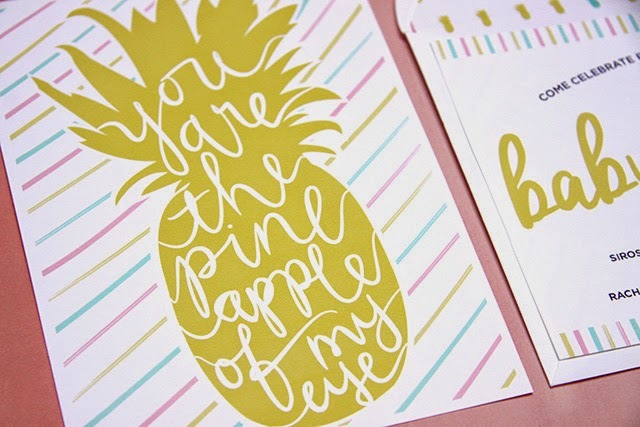 There is no lack of pineapple everything on the inter web right now so feast your eyes and send any fun ideas my way! Because this sweet little nugget in my belly is the pineapple of my eye! And I can’t wait to meet her! Ten more weeks! 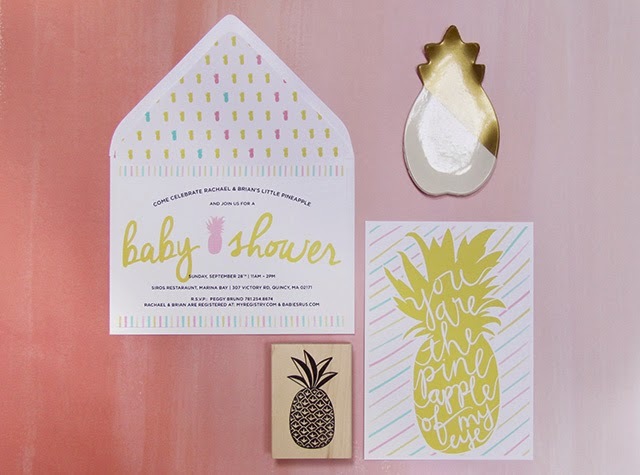 What did you use to tweak the pineapple print for your invites?